The EU's two highest-ranking energy and climate officials boldly declared this week that the Energy Union had become "a reality". "I am proud to stand here today, to present this package with one simple message – the Energy Union has become reality," said Maros Sefcovic, European Commission vice-president for the Energy Union, on Tuesday (9 April) at a press conference in Brussels. "Four years after the October 2014 European Council [EU leaders' summit], we can now say that we have completed the Energy Union," added his colleague Miguel Arias Canete, EU commissioner for climate action. But the commission's 'mission accomplished' moment contradicts earlier statements, and is not backed up by objective data. The Energy Union was always ill-defined. It was a phrase coined five years ago this month by then Polish prime minister Donald Tusk - now European Council president - to refer to his idea of EU countries coordinating their natural gas purchases from abroad. Later in 2014, Jean-Claude Juncker became president of the European Commission, and he made the Energy Union one of his ten political priorities. The concept was further developed in a strategy paper, which said the Energy Union had five "mutually-reinforcing and closely interrelated dimensions". These five dimensions, also referred to as pillars, were: "Energy security, solidarity and trust; A fully integrated European energy market; Energy efficiency contributing to moderation of demand; Decarbonising the economy; and Research, Innovation and Competitiveness." And at a presentation of the strategy paper, back in 2015, a commission official explained, on condition of anonymity, that there would not be a single moment in time when one could say the Energy Union had been completed, like commissioner Canete did on Tuesday. "You cannot say at some point in the future, this is the date the Energy Union will be established, it's not like [border-free area] Schengen or when we introduced the euro. It is a process," the official said. Some months later however, the commission did make an attempt to make the Energy Union project more grounded in facts and figures. In November 2015, it began publishing the State of the Energy Union report. The commission had identified 23 key indicators that could be measured, like wholesale gas prices, greenhouse gas intensity of the economy, and primary energy consumption. These indicators - although some were difficult to define - would be essential to determine the success of the Energy Union, Sefcovic himself admitted at the time. 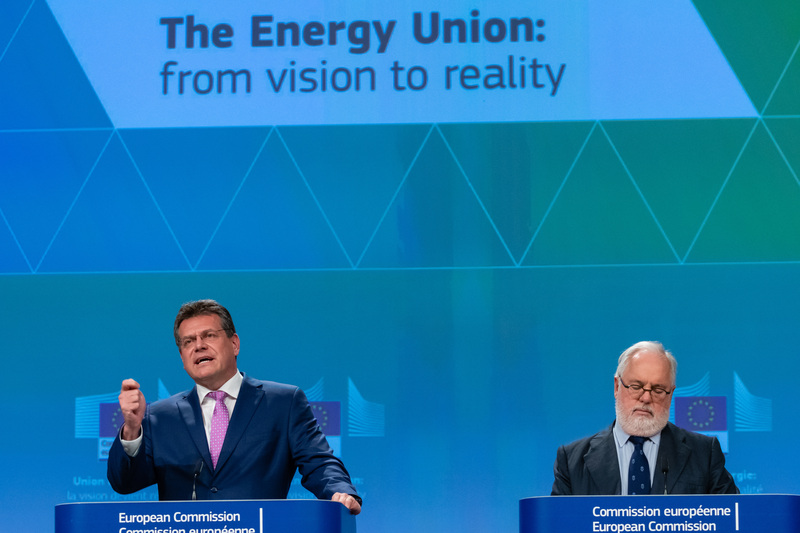 "If we want to see and measure the progress in building up the Energy Union, we need to have a very clear set of criteria, so we can compare the situation as it was when we started with the Energy Union, how we are progressing, and what we would like to achieve", Sefcovic said. The paper itself stated that "systematic monitoring with key indicators is needed to assess progress over time and to provide a factual base for potential policy response" - all the while acknowledging that "some policy goals do not easily translate into quantitative objectives". The second State of the Energy Union report came out in February 2017. Much of the second report still relied on data that described the situation in 2014 - before Juncker's commission had begun its work on the Energy Union in earnest. But in the third State of the Energy Union, published in November 2017, the key indicators were missing. 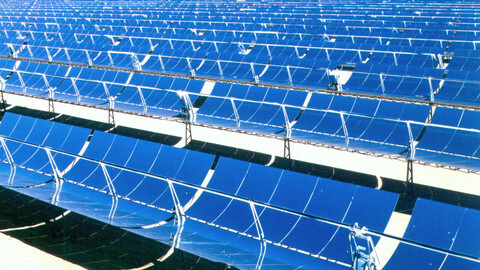 The same was the case on Tuesday, when the commission published the fourth State of the Energy Union report. A 'reality' based on what? At the press conference held to mark the publication of the report, EUobserver asked how the commission can claim that the Energy Union is a reality, when it no longer published these key indicators. "If you compare where we started in 2015 … today we can very securely say that in all of these pillars we achieved a lot. I would say in some cases I would call them the breakthrough," said commission vice-president Sefcovic. He mentioned the new EU laws that have been put in place and the work the EU did in international climate talks. His colleague Canete added that the commission published two progress reports on renewable energy and energy efficiency, and that both contained "many data". But the progress report on renewable energy showed that most progress made towards the 2020 goal of having a 20 percent share of renewable energy was achieved by 2014 - before the Juncker commission took office and started its Energy Union project. The other paper said that "in recent years, energy savings were not high enough to offset the impact of the growth in economic activity." It added that the EU was "at risk" of failing to reach its 2020 energy efficiency target. Those two progress reports notwithstanding, many of the original criteria were now missing. By not publishing the same key indicators, the commission is not making it easy for citizens to make that comparison. "I'm sure that if you would look at the performance criteria if you compare it with the situation of five years ago and today, that this would clearly confirm the story," said Sefcovic nevertheless on Tuesday. So let's try and look at some more of those indicators. The Energy Union was supposed to make the EU more independent in its energy supply. According to Eurostat definition, energy dependence is "the extent to which an economy relies upon imports in order to meet its energy needs". The most recent figure is for 2016, when the EU's energy dependence was 53.6 percent. This was a tiny improvement compared to 2015 (53.9 percent), but worse than in 2014, 2013, and 2012, when the EU was slightly less reliant on energy imports than it is now. The percentage figure for 2016 is the exact same as for 2009. Of the EU's 28 member states, 16 were more reliant on energy imports in 2016 than in 2014, including Germany, France, the Netherlands, and Poland. According to the commission's most recent report on the gas market, the EU had an annual gas import bill of some €23bn - 33 percent more than a year earlier, mostly because of higher import prices. 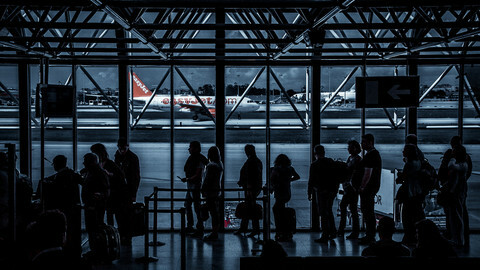 EU leaders agreed in 2002 that by 2020 all member states at least 10 percent of electricity can be transported across borders - this is the so-called electricity interconnection capacity. According to the most recent figures from the European Network of Transmission System Operators for Electricity (ENTSO-E), 17 EU countries already exceeded the 10 percent target in 2017 - although some that previously had reached that target had dropped below it again. "By 2020 four countries are expected to miss this target: Cyprus, Spain, the UK and Poland," the ENTSO-E report said. The Energy Union 2015 strategy paper said that Europe's energy system was "underperforming" and referred to "market concentration and weak competition" as a key issue. Some of the original Energy Union indicators to determine market concentration were calculated by the civil servants of the commission - making it impossible to independently repeat that exercise. Another way of looking at how concentrated the electricity market is, is by looking at the Eurostat data of what market share the largest generator in a country's electricity market has. 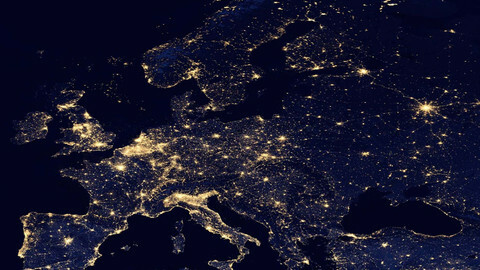 In nine EU countries (Belgium, Croatia, Finland, Germany, Greece, Latvia, Portugal, Slovenia, Spain), the largest electricity generator increased its market share between 2014 and 2016. In Cyprus and Malta, it remained 100 percent. Electricity prices can differ significantly, but the general trend is that electricity has become more expensive in the past three years, according to the EU's most recent quarterly report on European Electricity Markets. "Wholesale prices across Europe remained on an increasing trajectory throughout the third quarter of 2018. On some markets the price increase even accelerated compared to the first half of the year," the report said. The average monthly EU wholesale price rose from €42/MWh in January 2018 to €63/MWh nine months later. Gas prices for household consumers decreased in recent years on average in the EU, although in a few EU countries prices in 2018 were higher than in 2014. The Energy Union strategy paper also announced that at national and local level, "action should be taken to protect vulnerable consumers". Although the EU never defined the concept energy poverty, it did agree to try and tackle it. An EU survey estimated that in 2012 around 54 million European citizens (10.8 percent of the population) "were unable to keep their home adequately warm". 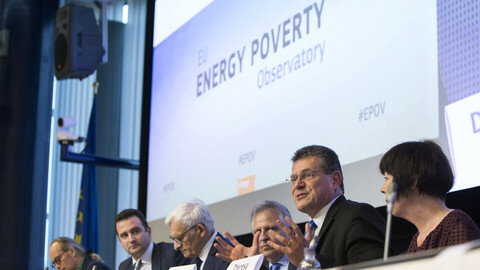 A year ago, the EU commission launched a website aimed at monitoring energy poverty in the EU. The website showed that by 2016 in most EU states, the share of population unable to keep their home warm had somewhat decreased - although 2016 data was missing for Ireland, Italy, Luxembourg and Malta. However, while this is good news, it should be noted that the Energy Union measures to tackle energy poverty were only announced in November 2016 - so they could not have had an effect on the decrease. Member states agreed in the EU's electricity directive, which predates the Energy Union, that they should, in 2020, have installed electricity smart meters in the homes of 80 percent of consumers - unless a cost-benefit analysis results in a negative advice. According to the EU Agency for the Cooperation of Energy Regulators (ACER), there were only nine EU countries where by the end of 2017 smart meter roll-out had reached more than 50 percent of household consumers. The ACER report showed there were several EU countries that had not yet even set a legal date for the 80 percent roll-out. What about the climate action part of the Energy Union project? While the commission proudly boasts that the EU has shown you can have economic growth and at the same time decrease the level of greenhouse gas emissions, there is some sobering news. In 2016, greenhouse gas emissions in the EU were 22 percent lower than in 1990. However, that decrease stalled in 2014, and the EU's emissions have been slightly higher in the two years since Juncker took office. It is therefore difficult - based purely on the facts - to say the Energy Union is now "a reality" and "completed". Listening to the commissioners and close-reading the Fourth State of the Energy Union report, however, gives an idea why the commission is claiming so. Most of the pieces of EU legislation that the commission had announced in the past five years, have now been adopted by European Parliament and the national governments. That is no mean feat. But a set of EU rules in place do not automatically change reality for the EU's citizens and businesses. Even the commissioners know that - Canete said Tuesday "the Energy Union framework is only as good as its implementation". The true reason for this week's good news show, is of course that the EU parliament elections are coming this May - and that the Juncker commission is in its final months of its mandate. As the last State of the Energy Union report during the Juncker mandate, it was the last opportunity for the commissioners to show what they achieved. But pretending that the EU's legislative framework is the same as Europe's reality can only widen the gap between the EU and its citizens. 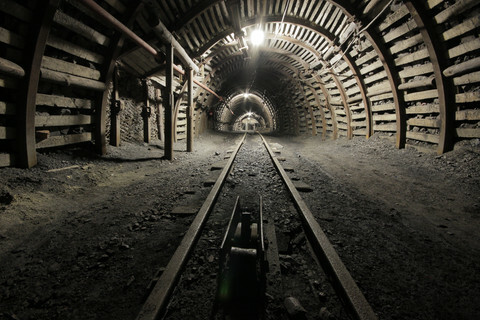 EU leaders want Energy Union: but what do they mean? European Commission says the EU is well underway towards an Energy Union, but its State of the Energy Union report relies heavily on old data. 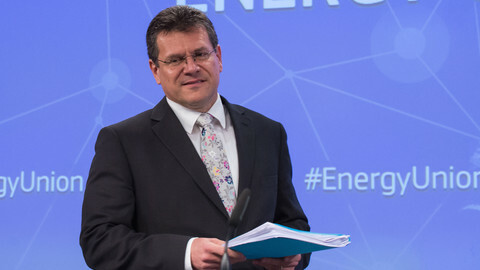 Commissioner Sefcovic presented the 2015 State of Energy Union report, but the stocktaking of his project is challenged by a lack of figures and definitions. The EU has launched an Energy Poverty Observatory - but without having created a common definition. 'How can you solve a problem if you don't even agree on what is the problem?' said one MEP. The EU's putative Energy Union has been billed as the biggest thing since the European Coal and Steel Community of the 1950s. But what is it exactly? 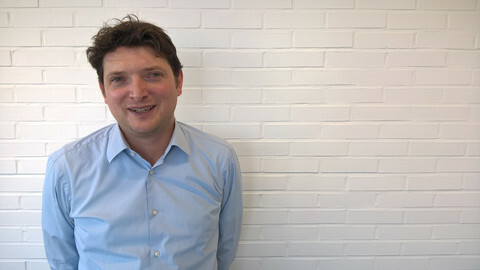 James Watson is now secretary general of Eurogas, after more than four years at the helm of SolarPower Europe. "I don't feel there is any inconsistency with what I've done before and what I'm doing now," he tells EUobserver.